Home Screenshot from the Award Winning Top Debt Settlement Agency Smith Ortiz P.C. Go to Smith Ortiz P.C. Firm Overview Screenshot from the Award Winning Top Debt Settlement Company Smith Ortiz P.C. 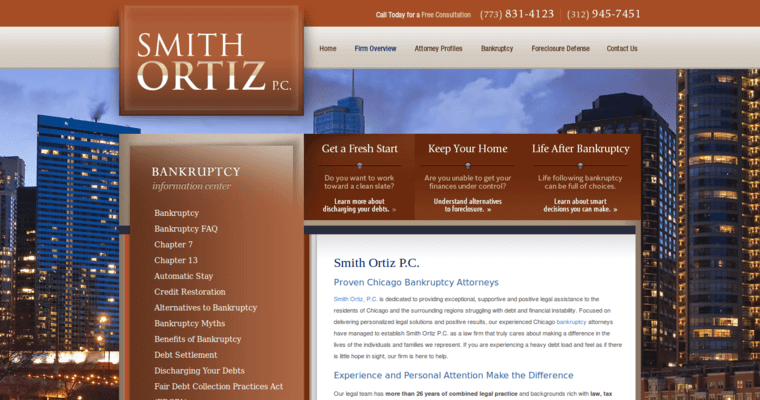 Bankruptcy Screenshot from the Award Winning Top Debt Settlement Business Smith Ortiz P.C. Smith Ortiz P.C. is a debt settlement firm that offers its clients bankruptcy options that can free you from debt. Their legal team also offers foreclosure defense services and alternatives for homeowners who are searching for relief from their debt. Alternatives to foreclosure include loan modifications, short sales or bankruptcy. Let Smith Ortiz P.C. help you with your debt problems. Bankruptcy options include Chapters 7 and 13 and their legal team can help you determine which option best suits your needs. A short sale procedure lets you sell your home, while loan modifications allow lenders and borrowers to renegotiate the terms of a new mortgage. This can result in lower interest rates, principal or reduced fees. The length of the hold on your monthly payments may also be extended. Smith Ortiz P.C. can help you make important decisions about your finances and debt obligations that can relieve your financial pressure. 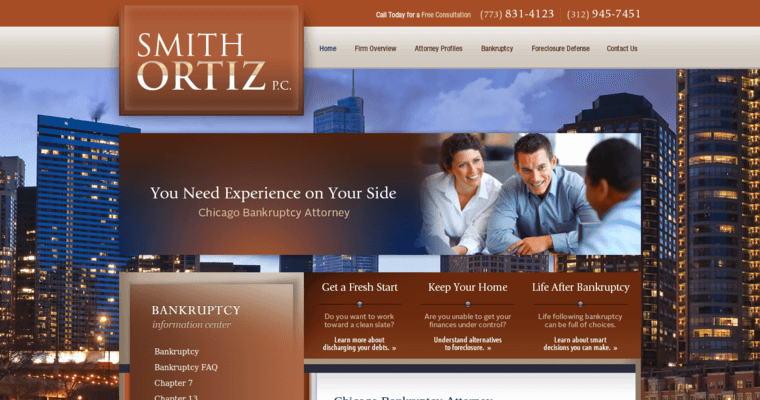 Learn More about Smith Ortiz P.C.